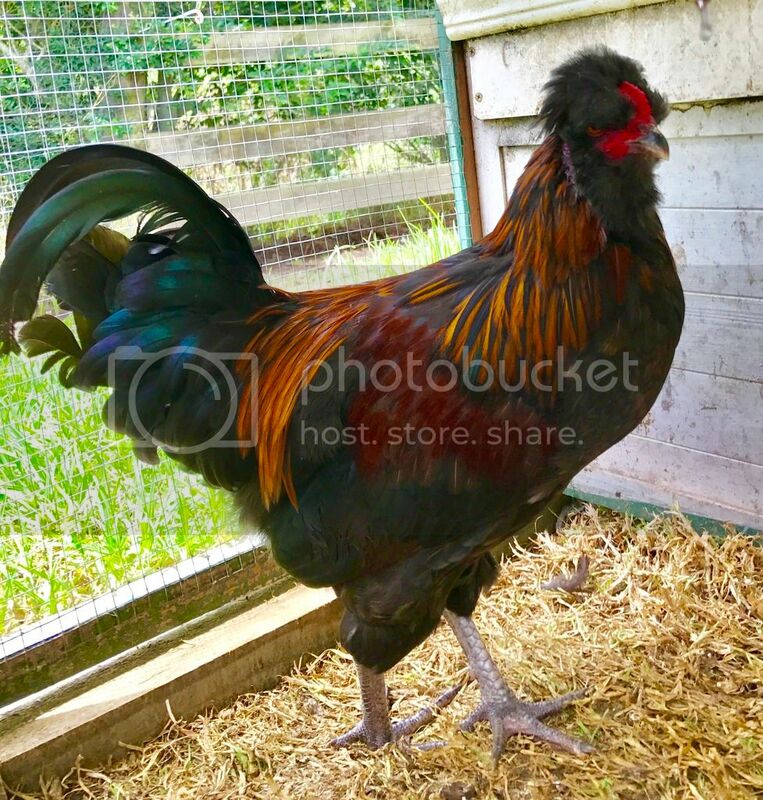 Poultry Central - The New Zealand Poultry & Chicken Forum • View topic - What colour is he ? What colour is he ? see how he will look fully grown. He is from my own stock and pure bred. Re: What colour is he ? Last edited by Foehn on Sat Oct 08, 2016 9:52 pm, edited 1 time in total. His neck looks black. Will that turn into red later ? He reminds me a bit of a barnevelder. 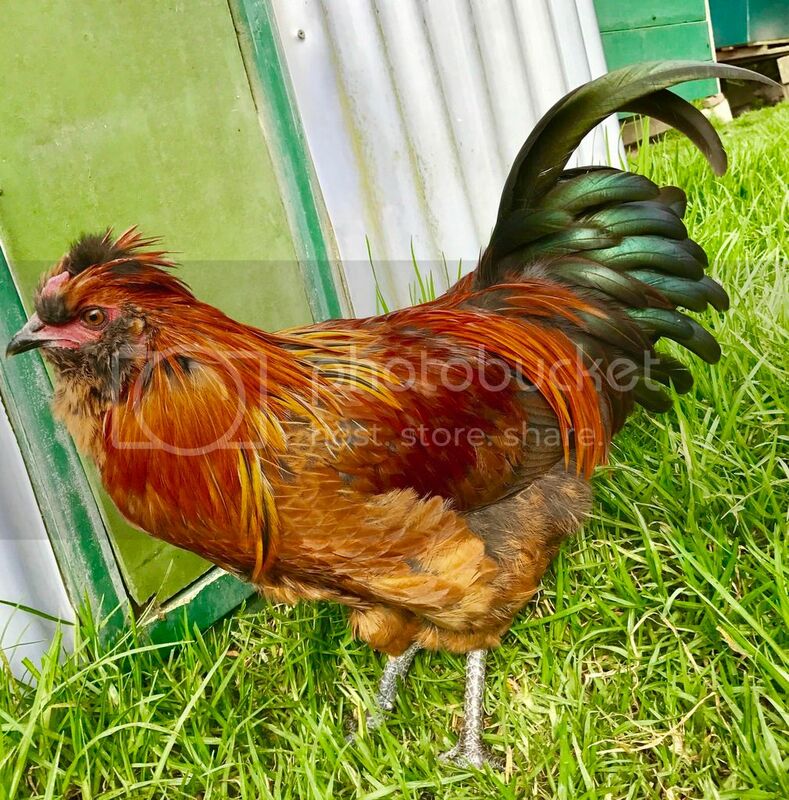 Yes, I have some similar Araucana Barnevelder cross-breds that look very like him. My girls though have lacing. and see what happens in a few months time. Rooster was lavender and mum was wheaten. According to the colour calculator all offspring should be black. But they are all like this little guy. I don't think he's partridge. Juvenile partridge cockerels have a distinctive black/red barring, especially on their wings. A long time ago I crossed a black Orpington with a buff and I got markings very similar to what you've got. 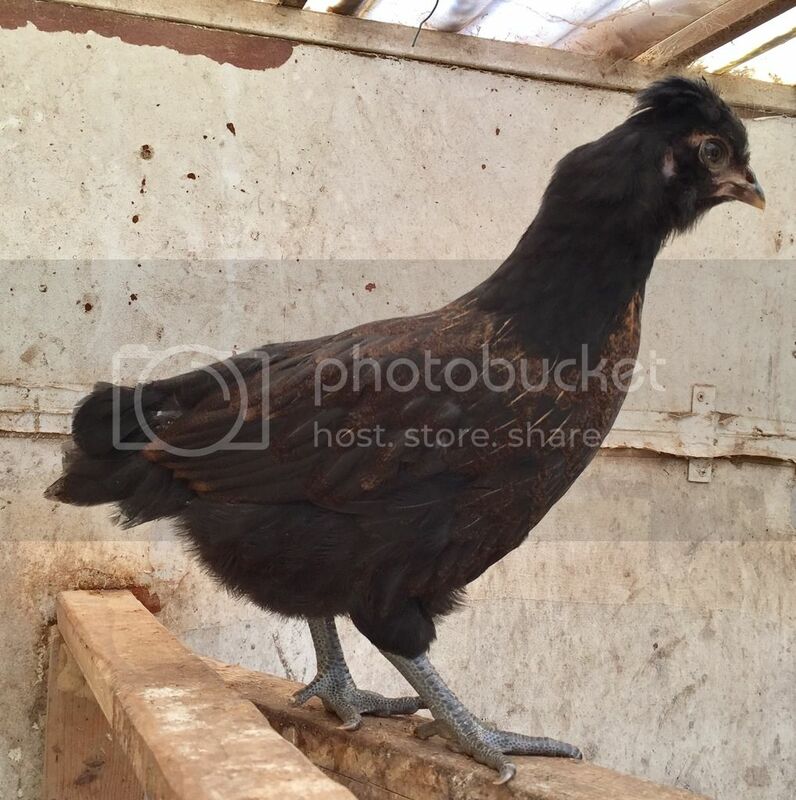 Black Orpington and Lavender Araucana both are on E (Extended Black) base, they both are s+ (gold). Buff Orpington and your Wheaton should both be on wheaton (ewh) base and also s+. E is supposed to be dominant over ewh so that's why the chicken calculator says all offspring black. But ewh sometimes behaves dominant. I've done many such crosses with Silkies and Buff Cochins and the wheaton influences everyhing from plumage colour to leg and comb colour (when dermal inhibitor is added to the mix). It really is unpredictable what you get until you see it. I didn’t think he would turn out to be a partridge cockerel in the end. We will have to wait and see what their adult plumage will look like. 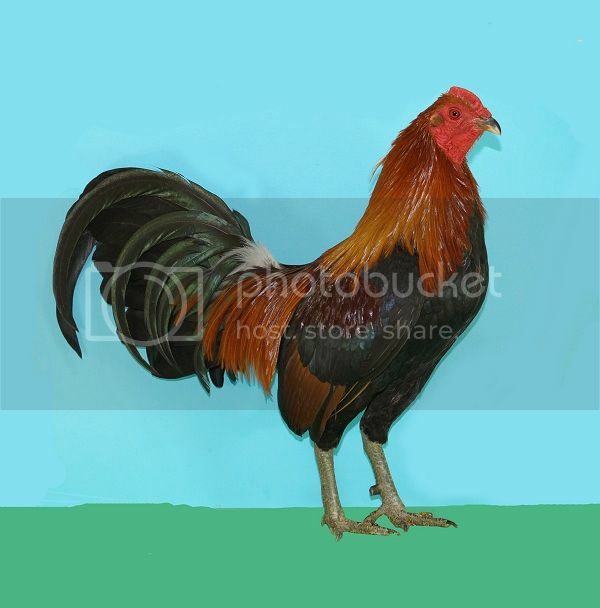 That's what the cockerel looks like now. He hasn't finished his final moult yet. Yes. He's got a rusty red triangle. Not really visible in the picture. Here's the ginger cockerel ! I hope that you called the ginger one 'Prince Harry'. - He looks to be a party animal! !